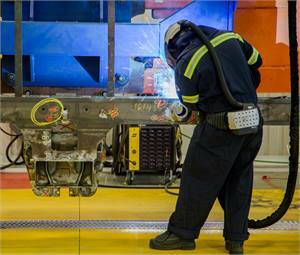 Alstom anticipates that the first bogie manufactured in Sorel-Tracy will be completed in the fall of 2013. 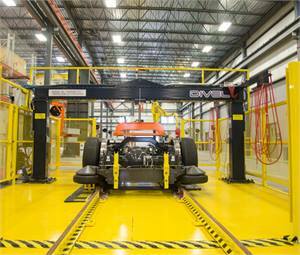 Alstom inaugurated its new 55,000-square-foot bogie manufacturing plant located in the cutting-edge industrial complex in Sorel-Tracy, Quebec. Built to serve Alstom’s needs in the context of an approximate $1.1 billion contract between the Bombardier-Alstom consortium and the Société de transport de Montréal (STM) to supply the STM with 468 new metro cars, the plant will assemble more than 900 bogies. 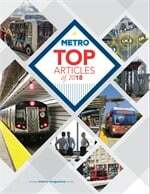 The bogie, which has been designed to meet the STM’s requirements, is a unit that supports the metro car and includes the drive, braking and suspension mechanisms that ensure passengers’ comfort and safety. The transfer of technology is part of Alstom’s strategy to address local market needs. Therefore, the transfer of technology and expertise for bogies and shock absorbers from the Alstom center of excellence, Le Creusot, France, to Sorel-Tracy plant, will enable Alstom to better address the North American market. The motors that will be integrated into the bogies of Montreal’s metro cars will come from the Alstom manufacturing center in Hornell, N.Y. The bogies assembled in Sorel-Tracy will then be shipped to the Bombardier plant in La Pocatière, where the cars will be mounted on them. The transfer of technology is part of Alstom’s strategy to address local market needs. In addition to the bogies, Alstom, through its various sites including the one in Montreal, will be supplying traction, train control, communications and passenger information and video-surveillance systems for the new metro cars. Over the eight-year span of the contract, more than 300 Alstom employees in Quebec will take part in designing, manufacturing and commissioning the new cars, which will be delivered to the STM.